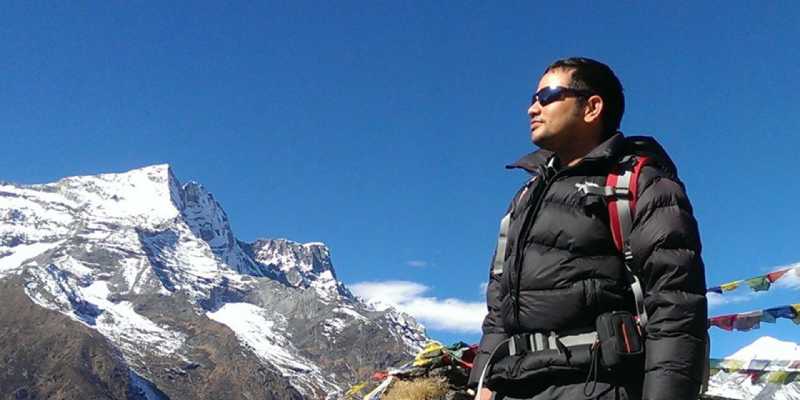 Nepal is one such country which has made itself the center of attention for various reasons. Its intriguing land-locked nature is one such reason. Another amusing fact is that it’s the only country in the world to have a non-rectangular flag. It also takes the top slot for having the world’s slowest download speed rate. In this Nepal travel guide you will find everything you need to know to start planning your trip to Nepal. This South Asian sovereign state is famously known as the birthplace of Buddha and thus of Buddhism itself. With downright stunning views of raw beauty, historic remains, religious pockets, mesmerizing culture and authentic food, it is one such country which definitely lights up the spark of adventure within oneself. The city supposedly under the Buddha’s constant eye is also Nepal’s capital and largest municipality. Exploring Kathmandu is nothing short of a riveting experience, right from its lively crowded markets to its majestic historic remains. Though hit hard by the earthquake, certain areas remain unscathed which lets visitors to observe and explore. 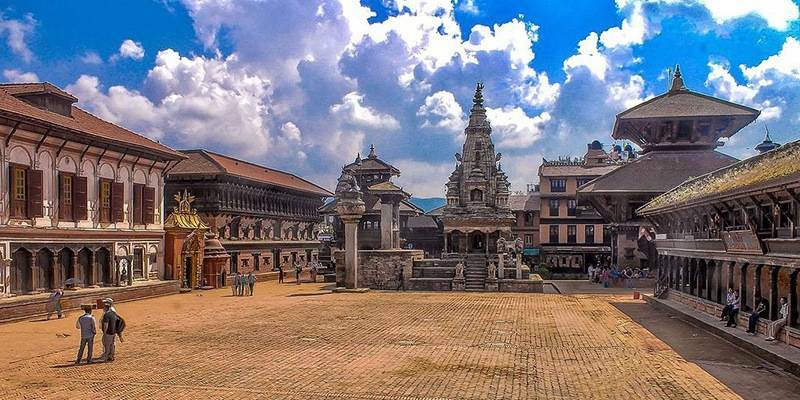 Some notable attractions include the picturesque royal palace of Hanuman Dhoka, the 5th century Hindu Pashupatinath Temple, the first Bodnath Stupa, the exquisite Buddhist Golden Temple, the bustling market place of Indra Chowk to name a few. This lakeside city has been fondly called by locals as the Himalayas’ mirror. 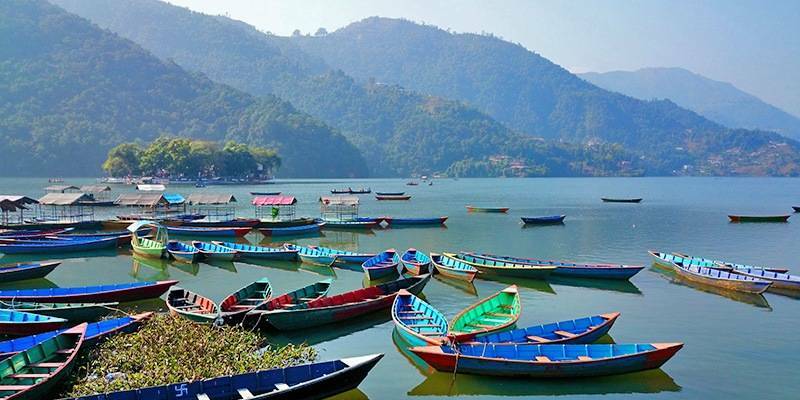 Very distant from the earthquake affected areas, Pokhara is the perfect spot to unwind after a hectic backpacking tour. Iconic views, an array of food choices and history are guaranteed. Pokhara is also one of the best places to paraglide and has a booming watersports industry. 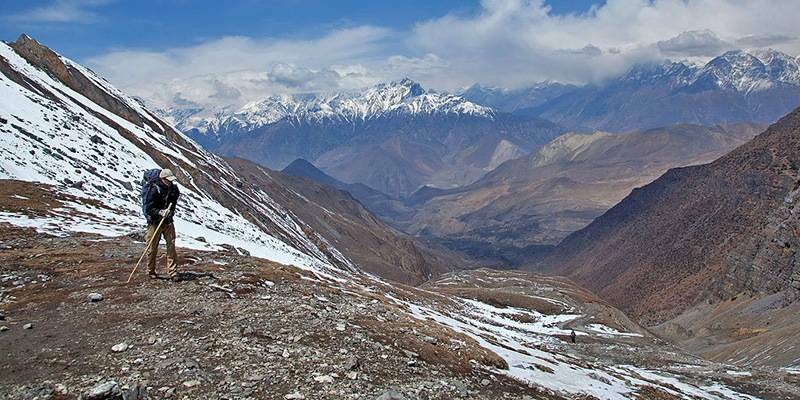 Crystal clear views of the snow-capped Himalayas will surely leave one awestruck. A must visit attraction is the Gurkha museum which is solely dedicated to the Gurkha regiments’ achievements and origin. Other places of attraction include Nepal’s second largest lake Phewa Tal, the architecture of Old Pokhara, the vanishing Devi falls and so on. Let’s get this clear that EBC is merely an abbreviation for Everest Base Camp. Yes, THE Mt. Everest. 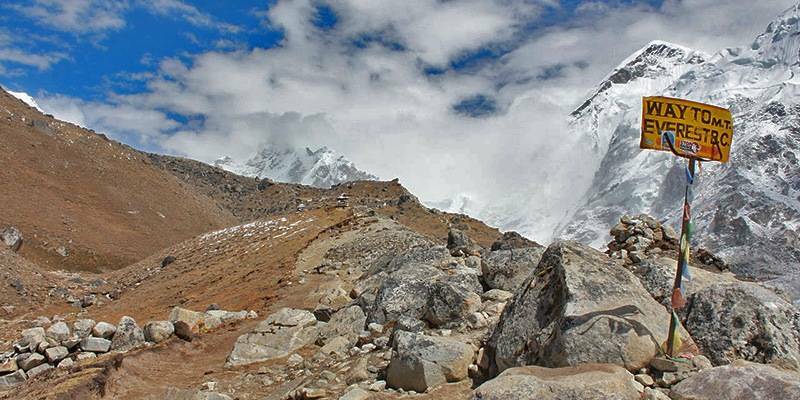 EBC mainly comprises of two base camps situated on opposite sides of the mountain. 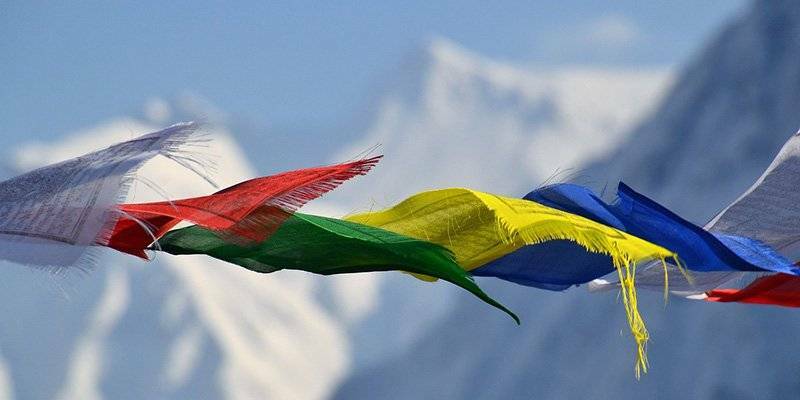 The South Base Camp is located in Nepal & the North in Tibet. These camps are essential sites to be used by climbers while ascending or descending. 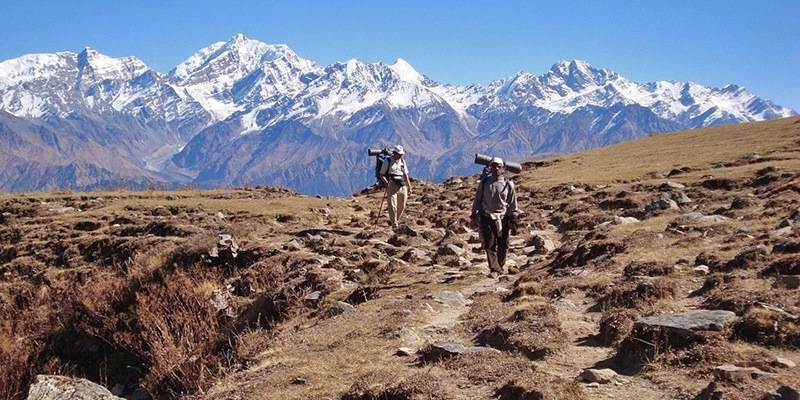 Many trekkers take shelter in these camps in order to recuperate from high altitude diseases. The South Camp is very popular and its treks attract people from all walks of life. With its lure of breathtaking treks, no wonder this camp is immensely popular! By the sound of it, one would think that this attraction is related to electricity. However, it isn’t so. In fact, Annapurna Circuit is a trek which takes place within the steep Annapurna mountain ranges. Those having a sense of adventure and thrill are highly recommended to go on this trek. As tiring as it is with a duration of roughly 230 km, sublime views are hands down guaranteed here. This trek ensures that hikers pass by scenic paddy fields, several waterfalls, sub-tropic hills and various villages. The trek commences at Bhulbhule & ends at Kali Gandaki Gorge. Another reason to not miss this? It has been consistently voted as the world’s best long distance trek since several years. 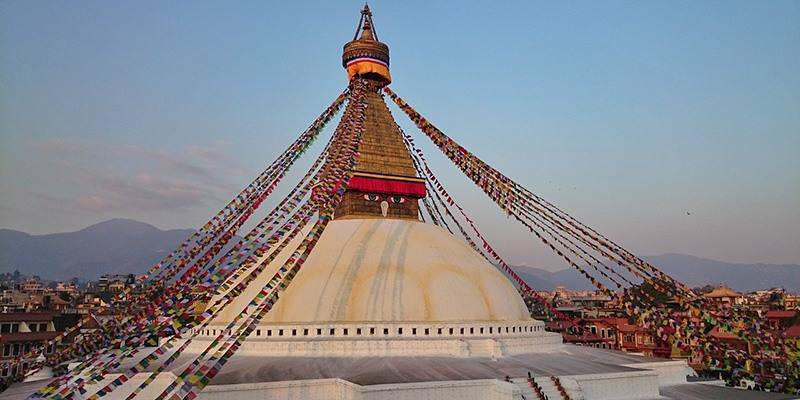 This stupa is one of the most famous and largest of its kind in the world. The cobalt-blue omnipresent eyes of the Buddha are a gripping feature of this stupa. They are said to look out for righteous behavior and conduct. The white washed dome, the colorful flags, the intricate frescoes make Boudhanath a must visit place. It is also a marvel of Tibetan Culture and Architecture. Although severely damaged by the 2015 earthquake, reconstruction and restoration has been steadily taking place which ensures its re-accessibility to visitors soon. 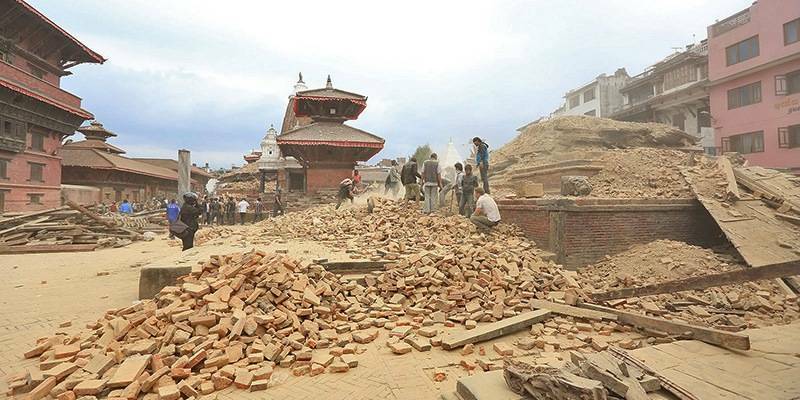 One of the worst hit areas of the earthquake, Bhaktapur has been subject to much destruction and tragically lost several buildings and temples in this tragedy. However, it still offers much to see. The red sandstone and gold metalwork framed Golden Gates is a crowd-pleaser. Nyatapola Temple symbolizes the five elements and is Nepal’s highest & biggest pagoda. Some other places to visitwould be Bhairabhnath Temple, Dattatreya Temple, Ugrachandi & Bhairab Statues, National Art Gallery and many more! Nepal’s first national park is one of the prime tourist attractions of the country. Formerly a hunting ground, the Chitwan National Park has always been subject to attention from various aspects, be it tourism, media coverage or even literature! 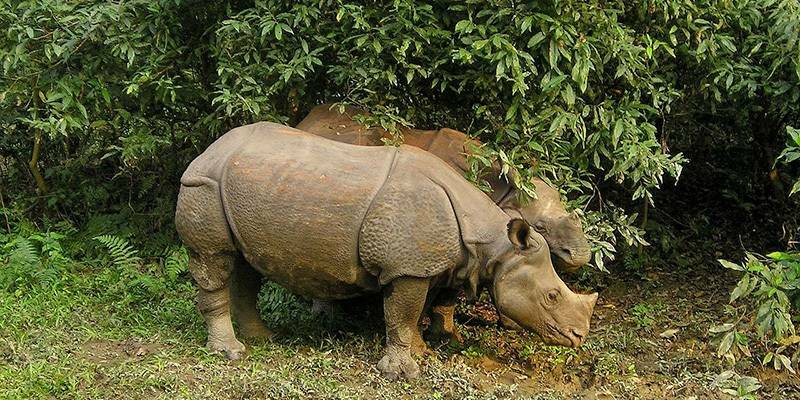 Chitwan means “Heart of the Jungle” and rightfully so, especially due to the fascinating array of wildlife found here. The vegetation found here is the typical Himalayan subtropical broadleaf forests. Some rather fascinating species of flora and fauna are also spotted here. Most notably one can see tigers & one-horned rhinos roaming freely within the dense jungle. Other species found here include sambar deer, white throated kingfisher, hanuman langurs and more! There are various activities for visitors to indulge in such as Jungle Walks, Elephant/Jeep/Motorcycle Safari, visiting the Crocodile Breeding Centre, and so on. There’s always something exciting going on here making it an unmissable place. Lumbini, known the world over for being the birthplace of Gautama Buddha. This obviously makes it no surprise that Buddhist monks and pilgrims religiously visit this site. One of the main attractions is the Sacred Garden which houses several ruins including Ashoka’s Pillar. However, the heart of Lumbini really lies with Maya Devi Temple which was built to commemorate the exact spot where Queen Maya gave birth to Siddhartha. The gleaming white World Peace Pagoda is surrounded by the wetlands which comprise the Lumbini Crane Sanctuary. Don’t miss out on the celebrations of Buddha Jayanti held here. An amazing fact about this site would be that it was totally unharmed during the 2015 earthquake which pilgrims correlate with good karma. Nepal is one of those countries where it’s rather hard to choose between the Annapurna Circuit and the EBC trek. The former is a very diverse sight, with an array of trails to choose from, scenic views and less taxing. The latter is a mighty task, gives one trekking credentials and more risky & longer. People need to choose as per their requirements. The relative faint of heart can opt for Annapurna whereas the others can go for EBC. Even better is that adrenaline junkies can take out the time and manage to do both which is no easy feat. 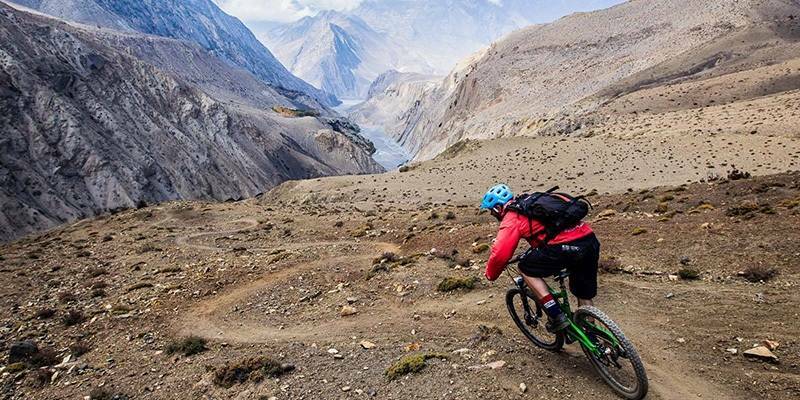 Definitely not for the faint-hearted, mountain biking is an activity cherished by those with an insane amount of adventurous streak.It has it all: adrenaline rush, mind-blowing views, visiting villages, exploring the wilderness, meeting the locals, indulging in history, eating authentic cuisine and more. People have the option to opt for public or private tours which are mostly guided. People can hail the help of bike shops to get the equipment, such as Epic Mountain Bike Shop, Everest Mountain Bike Shop, Dawn till Dusk etc. 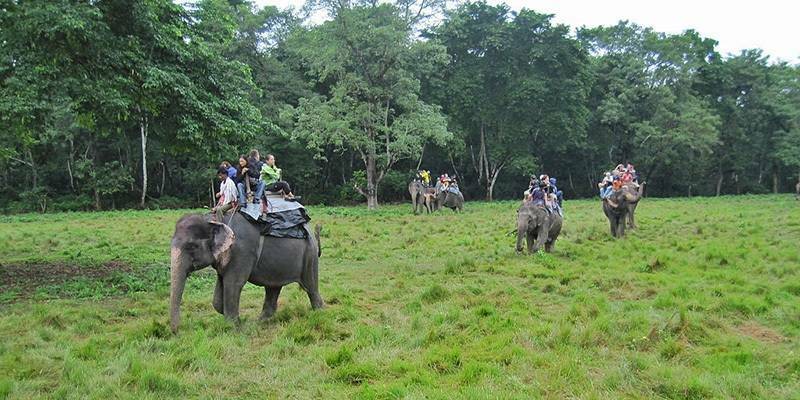 To cover the various aspects of the Park within a short span, the Jungle Safari tour is one’s best bet.Visitors can view the most of the kaleidoscope called Chitwan. From the rhinos & nocturnal white Bengal tigers, pythons to the creeping vines and lush wilderness. It has it all. The safari even allows one to visit the Tharu village located within the jungle and understand the culture & history. It gives one the opportunity to witness the one-of-a-kind Tharu dance. Activities such as elephant back, canoe ride, jungle walk, jeep drive, elephant bathing and more are included which adds to the excitement of it. 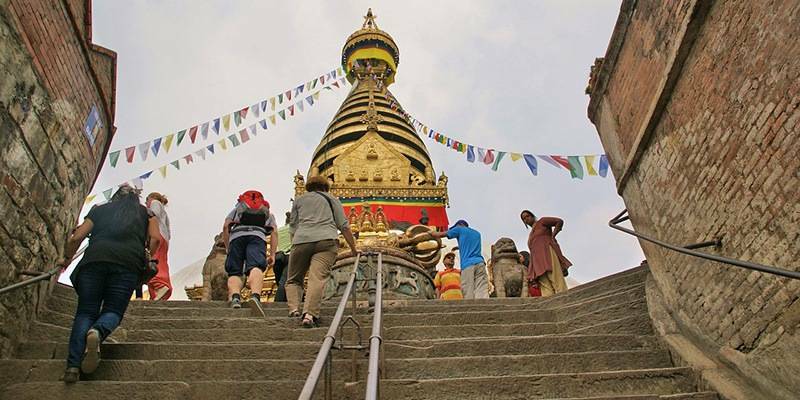 While many travel to Nepal with the view of literally scaling new heights and relaxing, a select few travel for personal and spiritual introspection. Kathmandu, in particular is home to various Buddhist monasteries and Hindu temples. Certain holy sites in Nepal see devoted pilgrims arriving here solely for spiritual & personal purposes. 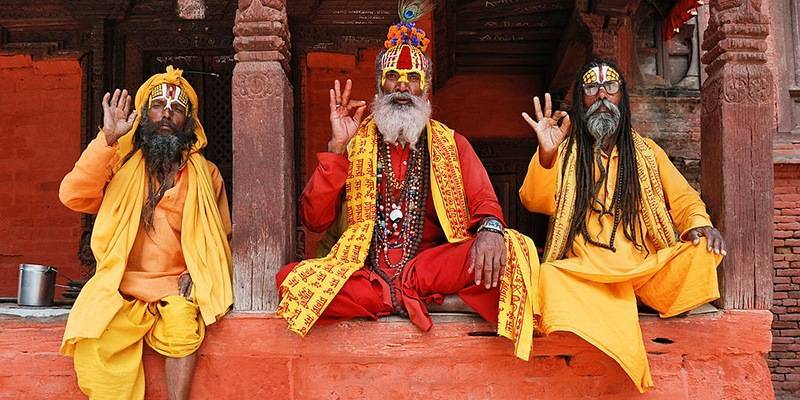 These famous holy places include the monasteries at Bodnath and the Pashupatinath Hindu Temple to name a few. Lakes have always been a favored spot among people when it comes to relaxation. And in Nepal, it’s no different. Most of the lakes here have the distinction of being high-altitude ones. The nation’s deepest lake, Rara Lake, attracts tourists due to its lush surroundings of spruce & pine trees.On the other hand, Phewa Lake is famous for its oh-so-clear reflection of mount Machhapuchhre as well as the Annapurna & Dhaulagiri ranges on its surface. Suitable for water sports is the Begnas Lake. 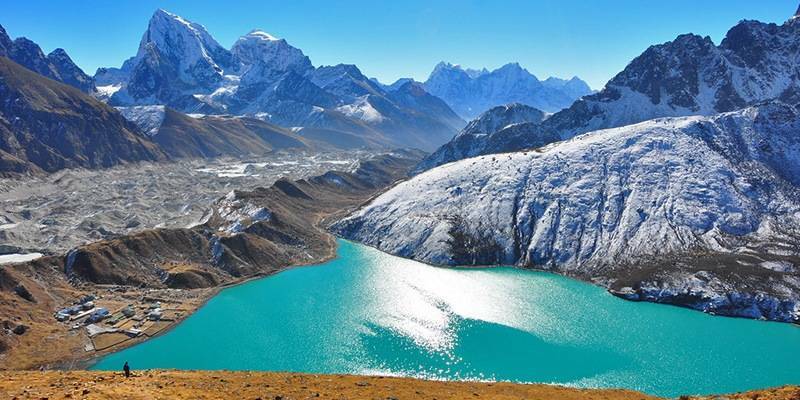 Other notable lakes include Gosaikunda, Tilicho Lake & Shey Phoksundo Lake. Sometimes, the best way to get to know a country is through interactions with its people. And what better way to do so than through volunteering? Simple tasks which help the elderly, children and youth would make one feel good and content at the end of the day. Tasks such as building orphanages or provision of necessities are undertaken by tourists and local volunteers alike. However, take note of the fact that Nepal is known for running scam NGOs. Thus it’s very crucial to select the right one. 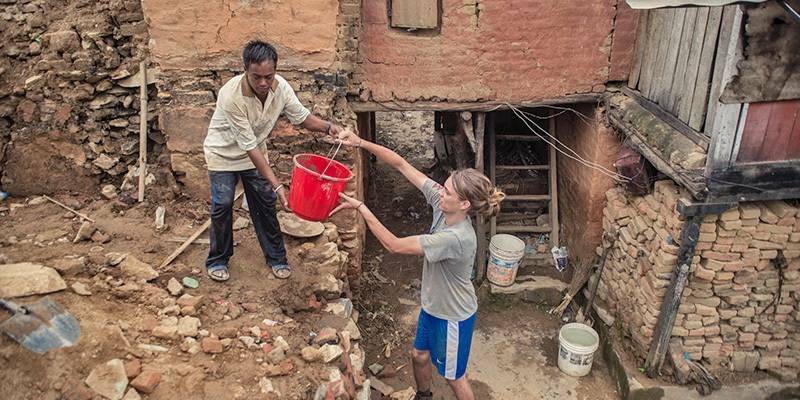 Some notable NGOs in Nepal include The Umbrella Foundation, BASE, BSP Nepal Biogas Support Program, to name a few. Nepal is mostly temperate & the four main seasons are focused on the monsoons experienced. All that being taken into consideration, the best time to visit Nepal is undoubtedly the autumn season (late September to late November). This is mainly due to clarity & visibility of mountains, the washed away dirt and the warm weather. The monsoon season (June to the beginning of September) is to be avoided as it invites landslides and obscurity of views. The winter season (December to January) brings about unbearable cold in certain places. However this is an excellent time to travel overland to Tibet. The spring season (March to April) is the second best time of the year to visit Nepal as it arrives with warm weather and blooming rhododendrons. Being a small landlocked country, getting around in Nepal is a rather frustrating experience. There are several types of buses which run throughout the country such as regular tourist & express buses, night buses and micro-vans.The challenges faced by most of them is that they suffer from bad road conditions and breakdowns are common. However, the pro is that they’re quickly and easily rectified which leads to a much smoother flow. Taxis here are mainly white Suzuki and it’s important to take note that prices are to be negotiated before getting in a taxi. This is mainly because the meters don’t work most of the time. That being said taxis are a faster & cheaper mode of transport and thus very popular among tourists willing to sightsee. Jeeps and land rovers are popular among locals and tourists alike. They’re mainly used to reach some hiking destination or starting point and are a lot more comfortable. However, they’re more expensive as well. It’s very rare to find the odd rickshaw in Nepal today due to pollution. There are motor rickshaws and cycle rickshaws which are more suitable for short journeys or bandas. Motorbikes and cycles can also be availed of via rent. However one needs to have a valid driving license before deciding to hire one. Travel by foot is set to be a confusing experience as there are very few street names and also the roads are congested. Rental cars and taxis can be arranged via a travel agency or hiring taxis for select periods of time. Nepal has often been the target when it comes to natural calamities. The 2015 April Earthquake is one which rocked the nation to its core and caused major damage. It is a high-risk earthquake prone zone. It is often subject to landslides, floods and aftershocks as well. So familiarizing oneself with the safety procedures is very essential. Also, it is in one’s best interests if one takes the advice from guides and tourism centers on when to head for treks and remote trails. Many a time a trekker has lost his/her life due to unforeseen natural calamities such as blizzards. So it helps to keep updated with weather forecasts. Nepal’s new constitution has often caused disagreements which have led to violent clashes and protests. It helps to monitor the local media and to stay away from protest areas as clashes can occur anytime and turn violent. Due to this public transport is often disrupted. In April 2015, Nepal was suddenly hit by an earthquake with a magnitude of 7.8 on the Richter scale. Certain parts of Kathmandu were ruined including its Durbar Square. Boudhanath was severely damaged, however, reconstruction is now well on its way. Tourism has certainly slowed down but you should not pay heed to the wrong news being spread. Although a lot of damage has been caused, there a still several monuments and sites which stand strong despite the earthquake. Trek routes and trails have been slightly altered and some shut down for purely public safety. However, Nepal is still a significant country when it comes to tourism. It would actually do many people a lot of good if one decides to visit Nepal as it would only help speed up the process of the country’s recovery. When Shamika isn’t daydreaming about food, books, Hollywood and New York City, Shamika likes to pen her ramblings and thoughts. A self-professed scatterbrain, she hopes to pursue a career in finance in the future.